McCarthy and Kennicott in the heart of Alaska's Wrangell St Elias National Park is an amazing place with incredible history. Explore this beautiful and historic area and stay in a cozy McCarthy Cabin. We offer three different cabin accommodations on three separate properties. 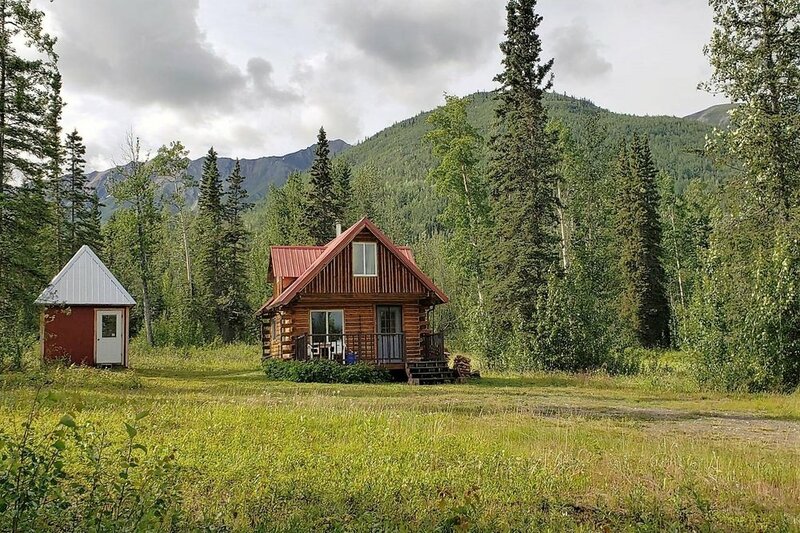 All three cabins are located approximately three miles from the end of the McCarthy Road where you access the footbridge to McCarthy and Kennicott. We offer guests a true Alaskan experience with incredible comfort and charm. These off-the-grid cabins are how many Alaskans live, including local area residents. Experience cozy Alaskan cabin life – a fun addition to your adventure in the Last Frontier!